With the popularity of 7 Wonders, you might have thought that an onslaught of card drafting games would be released. However, it’s still a genre that doesn’t have that many games to it. 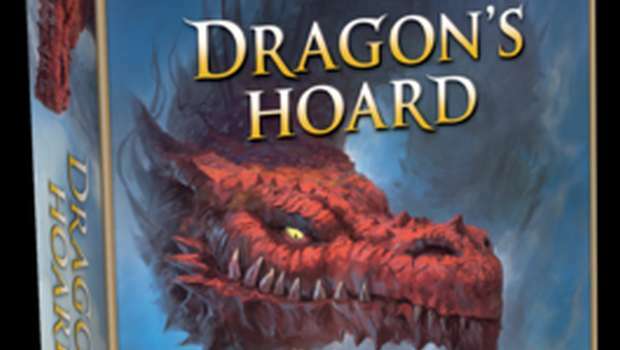 Renegade Game Studios is taking advantage of that and is releasing Dragon’s Hoard this fall. Renegade Game Studios is pleased to announce the upcoming release of Dragon’s Hoard, a drafting card game designed by Nathanael Mortensen’s with stunning art by Jonas Akerlund. The release is planned for fall 2017. In Dragon’s Hoard, each player plays a dragon hunting for treasure. Collect chromatic sheep from the farmer’s fields and use them to acquire marvelous treasures, but watch out! Other players will send angry mobs and wizards your way to stop you. Defend yourself and battle your way to riches. Draft cards from a common draw pile before taking actions each turn. Purchase as many treasures as possible using the cards in your hand. Dragons buy treasures with sheep that they’ve collected, while opponents will play terrible actions against you to keep you from tending those sheep.Battle to keep your treasure, while preventing your opponents from doing the same. At the end of the game, the player with the most victory points from treasures and bonuses wins! This fall, 2-4 clever dragons of ages 8 and up will flock to their local game store to collect valuable treasure for 25-45 min in this card drafting, hand management, set collection game. While I’m not the biggest fan of 7 Wonders, I think that card drafting introduces interesting choices. It can also be taught fairly quickly and easily. Look for it around Gen Con or shortly thereafter.